Understandably, the various materials used to manufacture any storage product of this type must be certified fire resistant; therefore wood or plastic stores are not permitted. Concrete, brick or metal are all suitable materials, the most popular being metal as it is relatively inexpensive. Additionally, the main advantage of metal stores is that they can easily be transported flat packed and built up quickly on site. 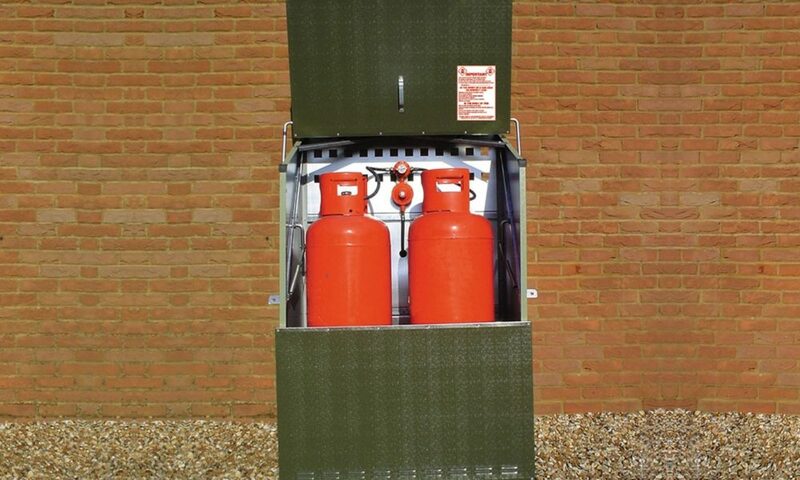 Gas cylinder storage units MUST be ventilated – there is a complex formula which dictates the amount of ventilation required based on the enclosed area of the store. NEVER use products that do not have any or sufficient ventilation. The two main types of LPG in gas bottles used today are propane and butane. 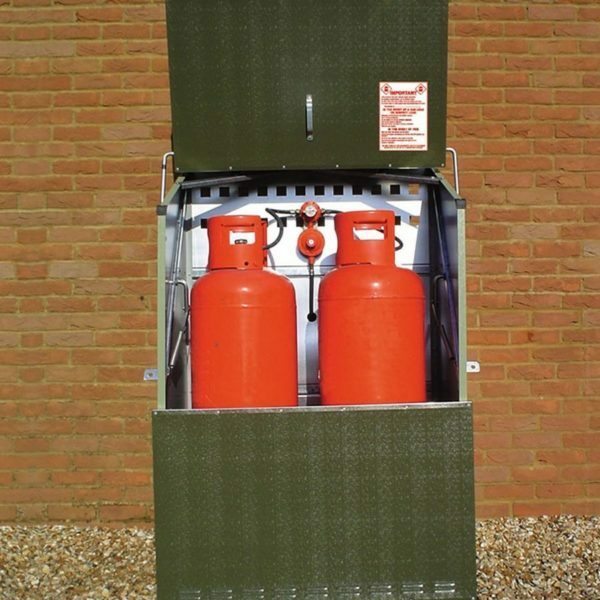 Both of these can be housed in gas cylinder storage units that have been specifically designed for the purpose. As butane can freeze in extreme temperatures it is preferable to use propane for external applications. 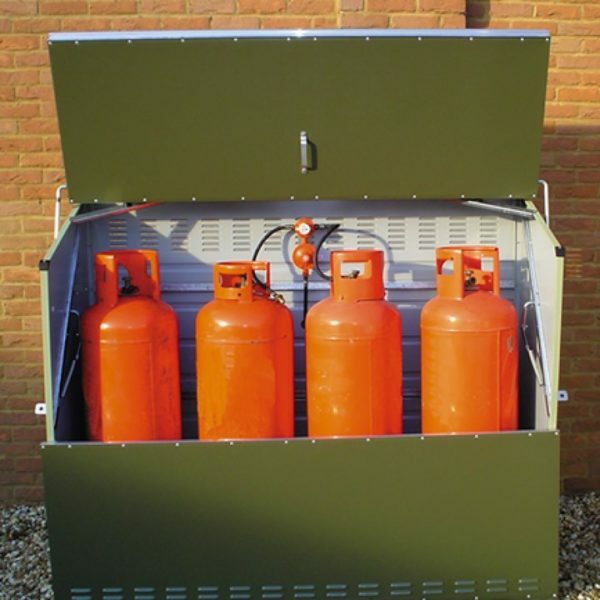 In particular, make sure that stores comply with BS5482: Part 1 2005 and BS476-22 as well as the LP Gas Association Codes of Practice regarding the use and storage of gas cylinders at residential premises. Always purchase safety equipment, such as gas cylinder stores, from recognised retailers or direct from the manufacturer. If you do not, you risk purchasing substandard products which may not conform to legislation and you might be held responsible if an accident or explosion occurs.